In 1994 I retired from teaching school and decided get into the field of dog training. I now work on teaching people how to improve their relationship with their dogs and to become better dog handlers. I live near Stevensville, Montana and for the past 24 years have been involved with dog training in Western Montana. For the past 22 years I have been a member of Pet Partners, a national organization out of Bellvue, Washington which promotes therapy dog work around the United States. Therapy dogs are dogs people share with others for therapy and enjoyment in places such as hospitals, schools, nursing homes, etc. All handler/dog teams must meet certain criteria in order to become certified with Pet Partners. I work closely with handlers to help them train their dogs for this very gratifying work., I have also been a licensed evaluator for Pet Partners for 17 years and hold evaluations three to four times a year, usually in Missoula, Montana. My basic approach in providing these services is to keep the methods as simple and straight forward as possible. I believe in the use of positive reinforcements to teach dogs basic skills. Whenever possible I try to minimize the cost of training supplies and keep the training methods as simple as possible. My main goal is to personalize my training with my clients, even in group settings. 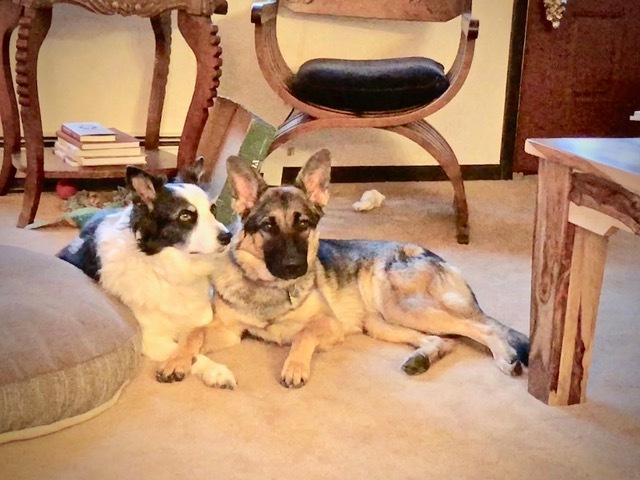 My dogs, “Kate” (Border Collie) “Allie” (German Shepherd) Very close friends. 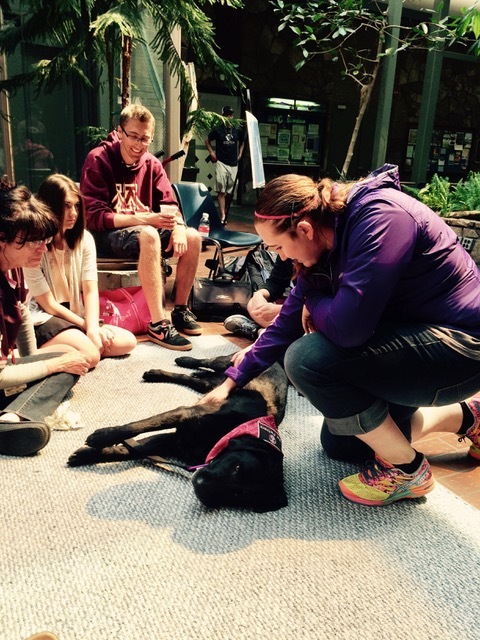 Therapy dog work at the University of Montana the week before final exams.